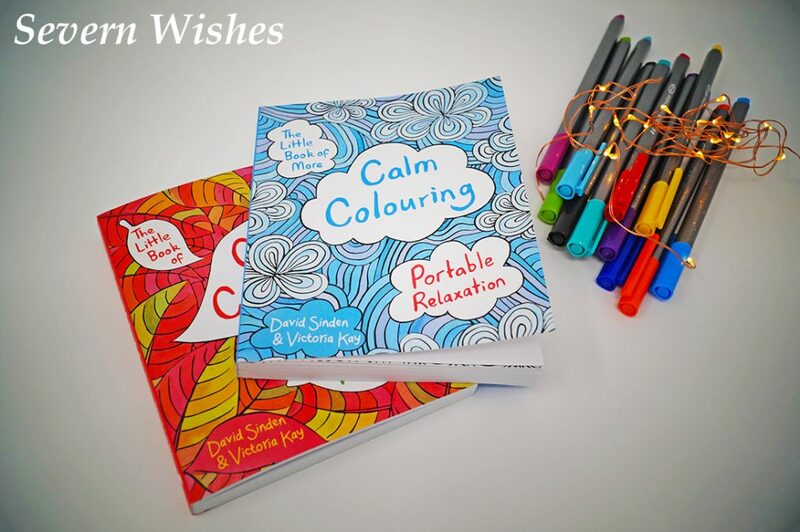 Today I am reviewing the “Calm Colouring” Books series created by David Sinden and Victoria Kay. 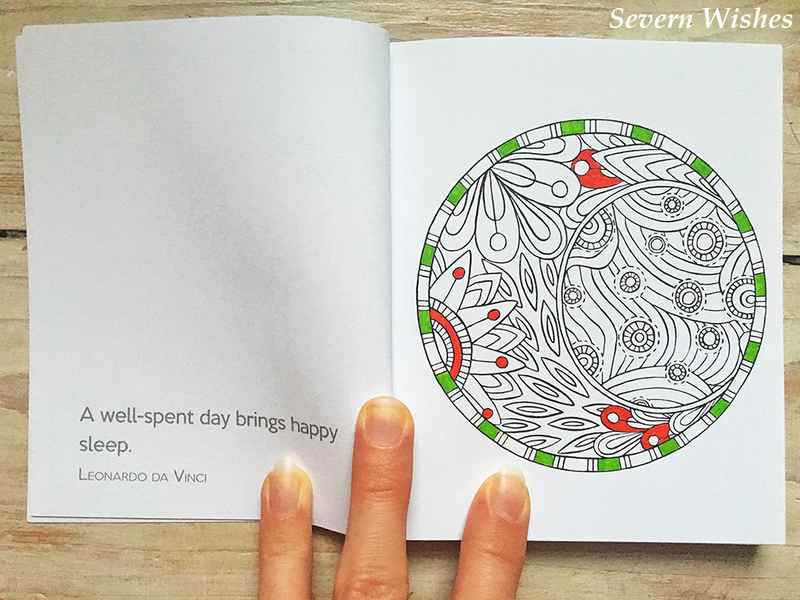 Calm Colouring is an activity that I partake in regularly, it really helps me to relax. And when the images are as beautiful and as intricate as they are in these books, you’ll see why in a moment. So why do I use them? As some of you regular blog readers will know, I have suffered with some anxiety the past few years that stems from my surgery and other health issues. I deal with it in several ways, but on days when I just need to lose myself in something, I found that adult colouring books really have helped. 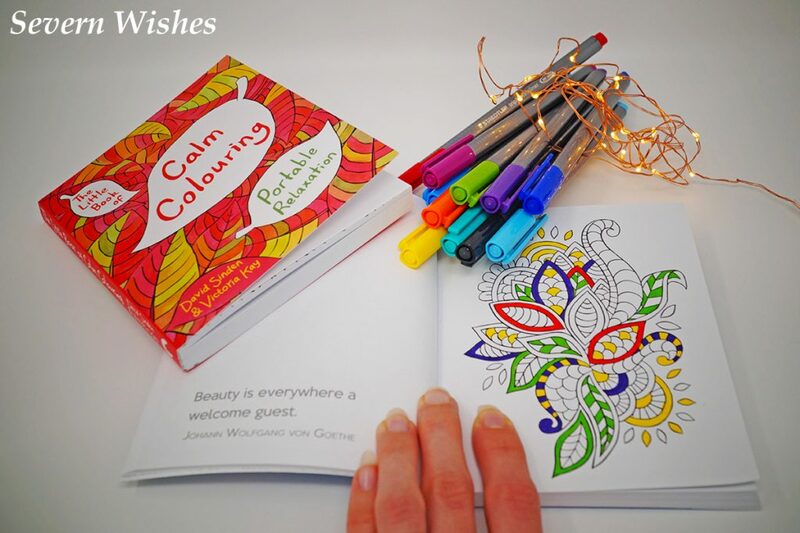 My family bought me the first book, “The Little Book of more Calm Colouring” and I loved it so much that I ordered the first one of the series off Amazon which is called, “The Little Book of Calm Colouring”. 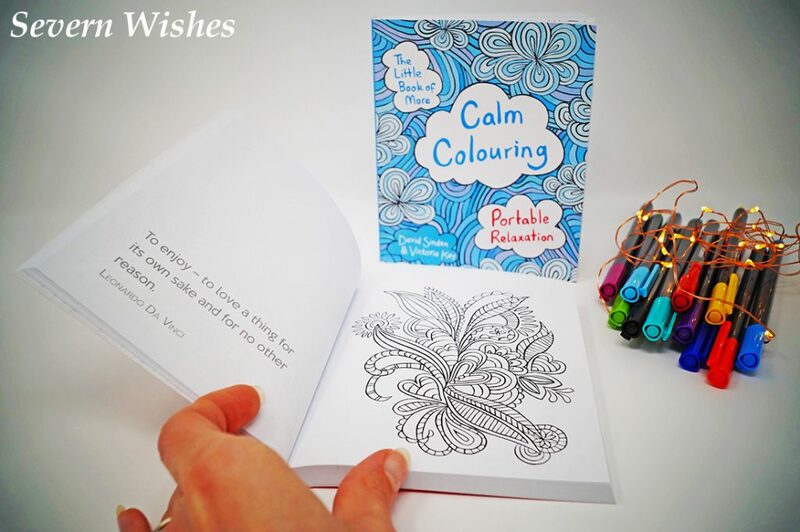 Inside are pages of hand illustrated designs where each one has an inspirational quote on the left and a picture to colour on the right. For example here is one quote from Leonardo Da Vinci, “To enjoy – to love a thing for its own sake and for no other reason”. As seen in my image below. 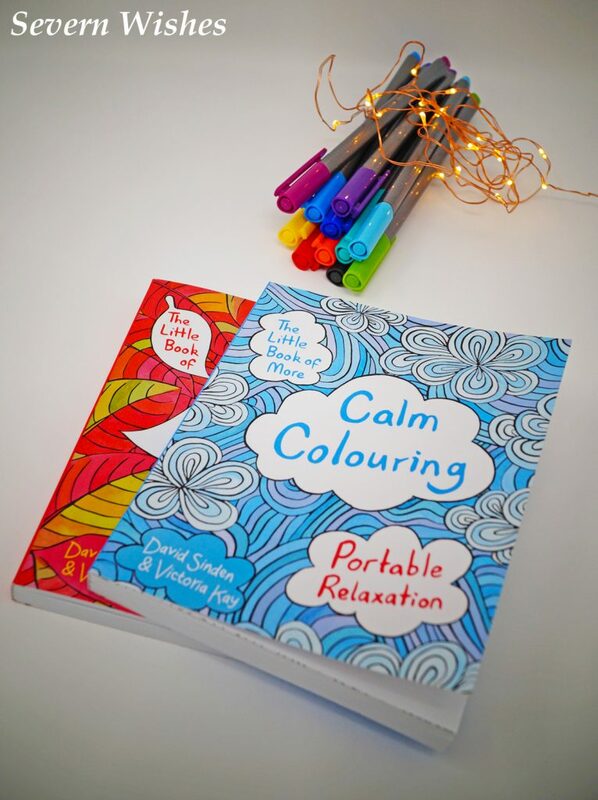 These portable relaxation books are so wonderful, and because they are only 11.5cm by 14cm they can be carried with you should the occasion arise. 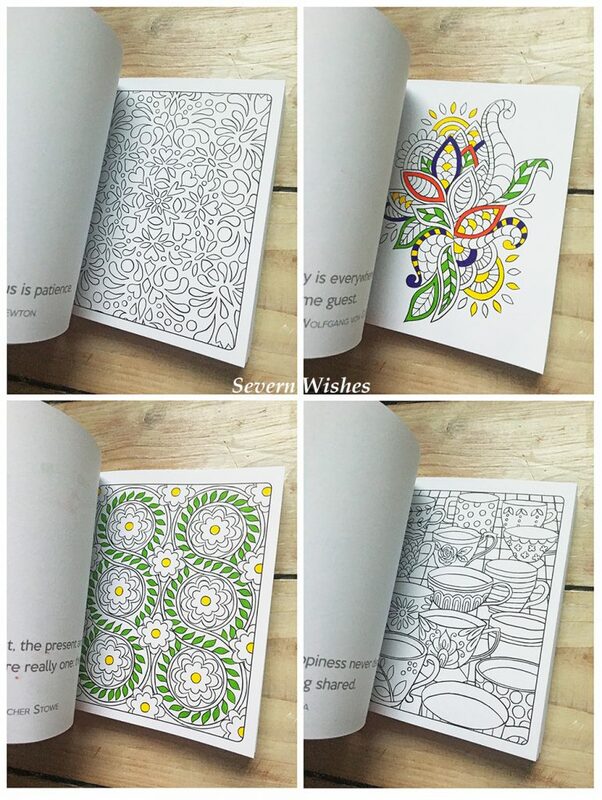 You can use pencils, pens, literally anything you like to colour in the designs. Something non saturate-able would be best though. The pages aren’t really thin but if you press too hard then strong pen colour will stain through. The quotes contain many famous sayings and inspirational words from some of the worlds most incredible people. William Shakespeare, Confucius, Aristotle, William Blake, Emily Dickinson and Oscar Wilde to name only a few. The act as reminders that sometimes patience and calm can be all that we need in order to mentally work through a situation. This book combines the beauty of adding colour to drawings that are sometimes both symmetrical and complicated, but also creating that depth of thought processes so that we may be lost in ourselves for a moment. Not only is the content excellent, the quality is also great. They are both portable and easy to use. The books do exactly what they are intended for, and I think at less than £5 for one of these books they are good value for money. All you need to buy are the colouring implements. Thank you for reading this review today, I really hope you have enjoyed it, and feel free to search for these books online if you’re considering buying one for yourself or for a friend. I know mine are useful and inspiring, exactly what you need to alleviate stress after a long day or to distract at an anxious time. I bought one of my books off Amazon so I know you can still get them on there. This entry was posted in Art and Craft, Books, Gifts, Lifestyle, Reviews, Stationary by Sabrina. Bookmark the permalink.